The Culcreuch Estate Lodges are an exclusive development of eight comfortable, Scandinavian style self catering holiday homes outside of Fintry near Stirling. 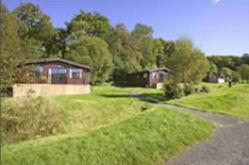 The lodges are pleasantly positioned just 200 yards from Culcreuch Castle Hotel in their own secluded area. Each lodge sleeps four to six people in double or twin bedded en suite rooms. They all have a kitchen, dining area and a generous lounge with patio doors which lead to the verandah. From here you can relax and enjoy superb views. Lodge residents have use of the castle's bar and atmospheric dungeon diner, supplemented by the castle's fine dining restaurant in the evening. A full Scottish Breakfast can be pre booked in the castle at an additional charge. There are many activities to indulge in during your stay. Hillwalking is very popular in this area and starts just outside the castle door in the Campsie Fells. 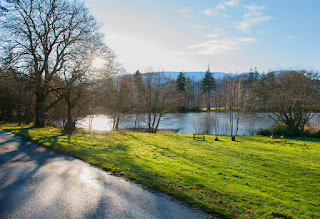 For walking and cycling, the less strenuous Campsie Trail links the villages of Fintry, Kippen, Gargunnock, Balfron and Lennoxtown.